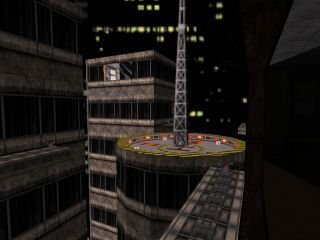 Another nicely done DM map from Fernando, Skyscrapers is comprised of four rather tall buildings (skyscrapers, possibly) and a series of precariously balanced ledges. Shadow-work is brilliant - some of the best I've seen, though it's a pity you don't have time to stop to admire this. 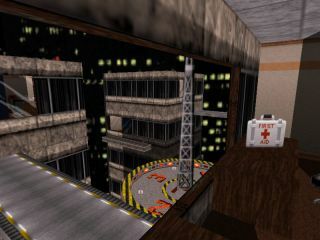 As always, guns and ammo are abundant, and there's a couple of hard-to-get jetpacks thrown in to keep things interesting. Great fun, check it out. Introduction          : New York Rebellion; Level 11. 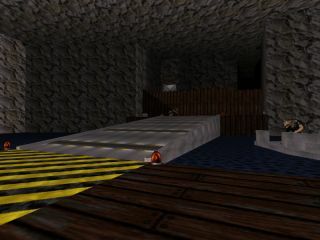 Multiplayer DukeMatch exclusive level 3! expect any kind of helicopter to rescue him. TEST01.MID to DETHTOLL.MID to play the music. Page generated in 14.9805 seconds.